Here you will find our full range of stylish modern art prints! We have an extensive range, with something to suit almost all homes and interior design styles. Our range is regularly updated with popular prints and exclusive designs so that our customers are always able to find something that suits them perfectly. Give your walls a makeover with trendy wall posters from Desenio! Welcome to Desenio’s online store! We offer a wide range of fine art prints online with modern and trend-proof designs. 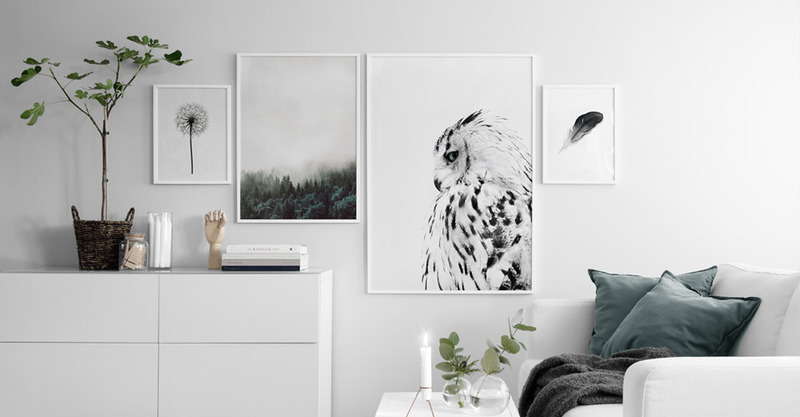 With Scandinavian design as our starting point, our trendy posters fit perfectly with diverse interior styles. We offer popular posters from famous artists and photographers as well as prints designed by our creative team exclusively for Desenio. Give your walls new life! Our modern art prints allow you to create a unique feel amongst your other interior elements with our art designs in focus. Let the posters and prints you use to decorate reflect you as an individual or showcase something you enjoy in order to give your home a personal touch. By decorating with several different posters in a collage, you can easily create a stylish gallery wall. Visit our Inspiration category to view and be inspired by popular gallery walls of our stylish posters. Our prints are grouped into categories so that you can easily find what you’re looking for. You can also check out our Bestsellers category to see our most popular wall art. No matter if you’re looking for art in the form of posters and prints for a bedroom, living room, kitchen, or children’s room, we offer a wide assortment to suit any room in the home. All of our posters and prints are printed on thick, high-quality, uncoated paper with a matt and exclusive finish. We also offer fast delivery and secure payment. Any questions? Do not hesitate to contact our Customer Service Department who will be happy to help you with any queries. Buy your modern wall art and prints online from Desenio to create a personal home brimming with modern art!